I think a lot of things have contributed to that though, one of them being that it is now Autumn/Fall and that is *if some of you didn't know already* my favourite season! The colours, the weather, the fashion, everything about it just makes it the best season. With me also getting back from Florida where it was 32°C almost everyday it's definitely nice to be home in the chilly weather and be wearing jumpers and sweaters! I have already kicked off my Autumnal Instagram theme which I absolutely love and get so excited to post something else that ties in with them, I have so many ideas for it! What I really wanted to write about today is some things that I love that would be so great for Autumn/Fall, that could be clothes, shoes, accessories but basically anything. This time of year, right at the beginning of Autumn you obviously start browsing for things that are suitable for this season. So I thought I would share with you some of the things I have seen and have added them to my wishlist. 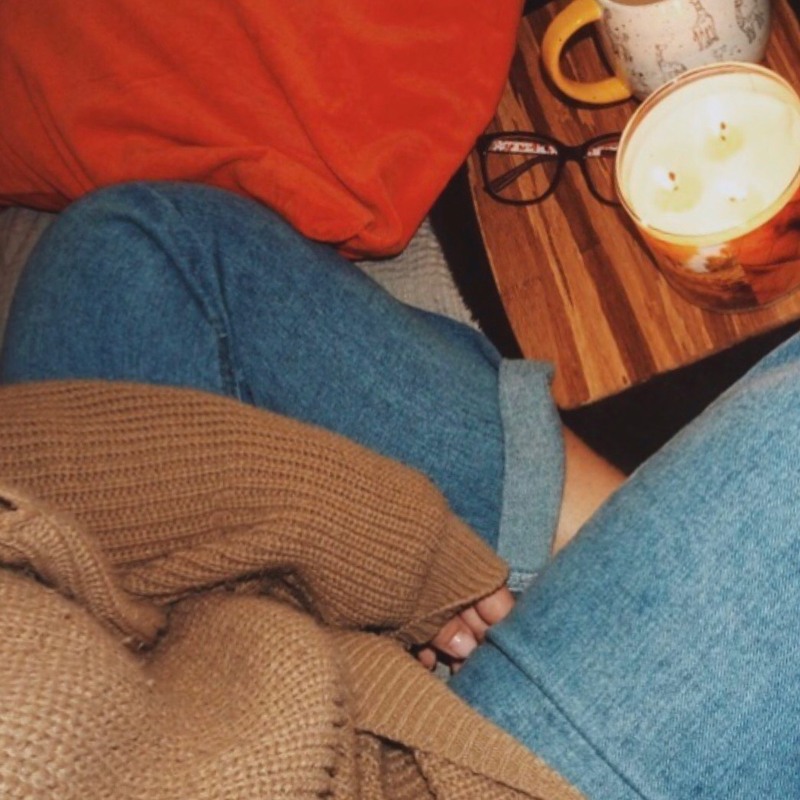 I tend to browse on the likes of ASOS, Urban Outfitters, Missguided and some others but those always seem to be the best places to grab some bargains and some beautiful additions for your Autumn wardrobe. I've made four different wishlists - clothing, accessories, coats and shoes. I thought I would do this rather than jamming everything into one and then I can sort of talk about each category and what type of vibes i'm going for. So hopefully you've had a little flick through on the clothing that I am loving for fall. I feel like my vibes are very slouchy, cosy and cute which is definitely a good thing and I really love those kind of vibes. The colours are actually quite simple and just your boring black, white, brown and grey but that's okay with me, I am liking those colours and definitely don't want to be wearing really bright colours for fall. I am definitely going to be wearing a lot of knitwear during the autumn/winter months as it gets very cold very quickly in the UK. It's almost as if it's bye bye summer hello autumn straight away and we get hit in the face with the cold weather but like I say I'm okay with that. So as you can probably already tell this time of year I am obsessed with wearing boots! They're definitely up there with trainers - favourite type of shoe to wear as I'm very fussy when it comes to shoes and I definitely like what I like. I love a chunky boot for autumn & winter because I just think they can dress up any outfit and turn it just a bit more exciting and what other time of year can you get away with wearing so many boots! With accessories I feel like it's the part that is adding the colour to my outfits for autumn/fall. It consists of a lot of chunky, oversized scarves that will add that lil' extra something you need to make an outfit perfect. One of my favourite accessories for autumn/fall is bobble hats as I just think they're so cute and I just love to wear them throughout the colder seasons. *drool* Just how amazing are these coats & jackets! I am just a sucker for being wrapped up warm but still looking awesome. I clearly love a biker style jacket however I definitely love going for a full long length coat too! I just love being able to have so many coats to wear during autumn and winter, I think I must get it off my grandma as she is and always has been obsessed with buying coats! So that just about wraps up my autumn/fall fashion wishlists for this year and I am definitely going to be doing a post like this for winter too as I love to do online shopping and it gives me ideas for fashion for the season! So as you can imagine I did quite a good amount of shopping in Florida and one of my favourite places to visit whilst in the USA is of course Bath & Body Works. So I thought I would share with you what I picked up. Of course the first thing I picked up had to be my favourite autumn candle *drool emoji* LEAVES! 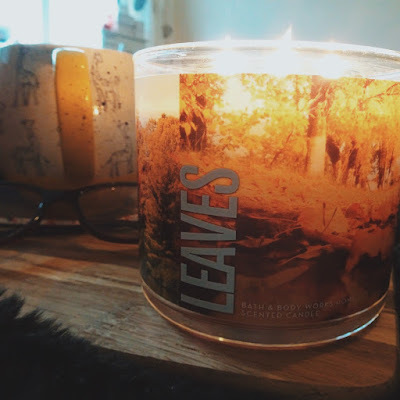 I have bought this candle every year for the last few years and I have to say it is definitely my favourite candle scent to date. My mum is a huge fan of this scent too and often tries to steal it off me to use in her bathroom - no thank you. 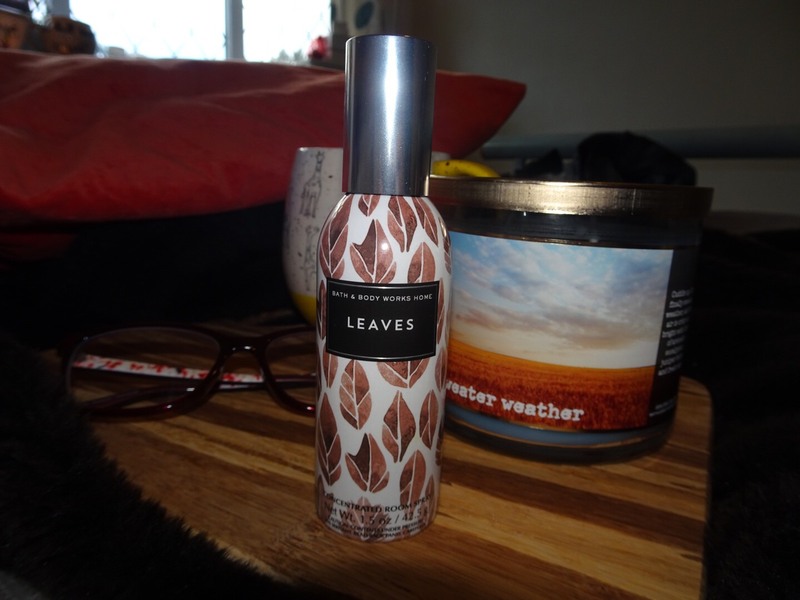 While we are on the topic of Leaves I picked up this room spray with the same scent, it's definitely a little bit of a stronger scent which is to be expected with a spray rather than a candle. Maybe I might let my mum keep this one in the bathroom or maybe not? I've had a couple of these room sprays and they are actually great, one spray and it fills the full room and just has such great lasting power! I will definitely be grabbing some more of these at some point. Next up I grabbed these Wallflowers re-fills and a lil' pumpkin plug in which I absolutely love!!! Look at how cute my lil' pumpkin is! The refill scents I picked up where: Autumn Woods, Sweater Weather, Flannel and of course Leaves! I have currently not tried this out yet but all the scents are so amazing and I can't wait to start using it as it also has a little night light in. 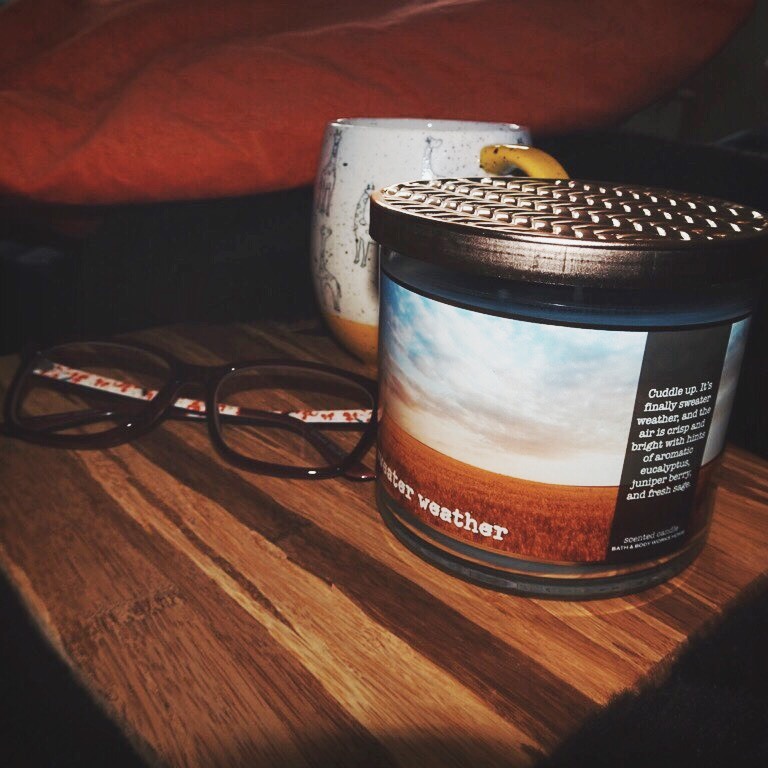 The next candle I picked up is Sweater Weather. I absolutely love this one it's just going to be so perfect on a cosy day. The description of this scent is aromatic eucalyptus, juniper berry and fresh sage. All i'm saying is yum! 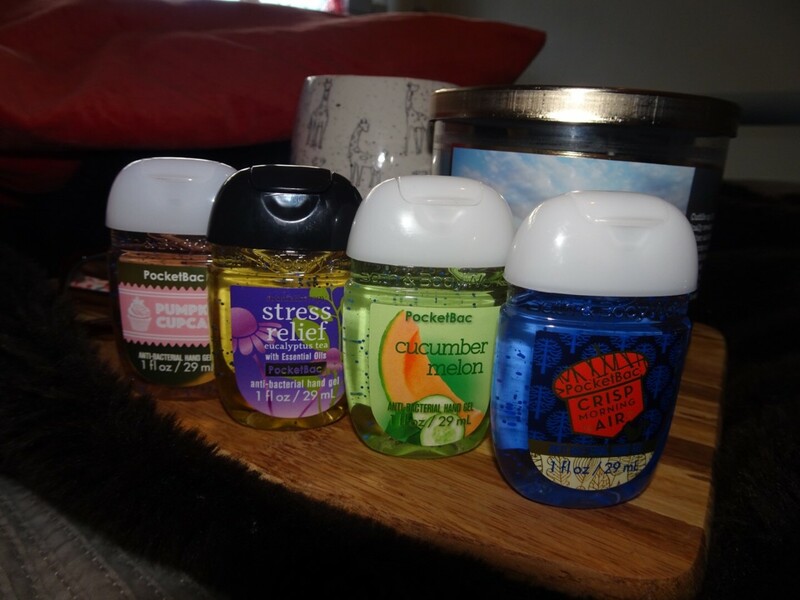 My last few bits I picked up are possibly my favourite product from Bath & Body Works is the pocket anti-bac's. 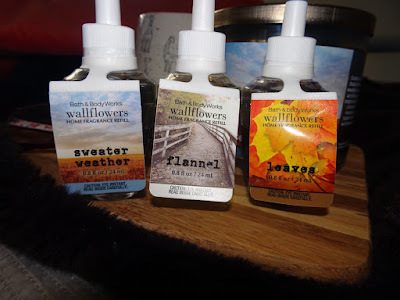 I am a bit of a Germaphobe and constantly wash my hands or use sanitizer, so these for me are great as they are the only sanitizers I've had that don't have that over-powering alcohol scent. 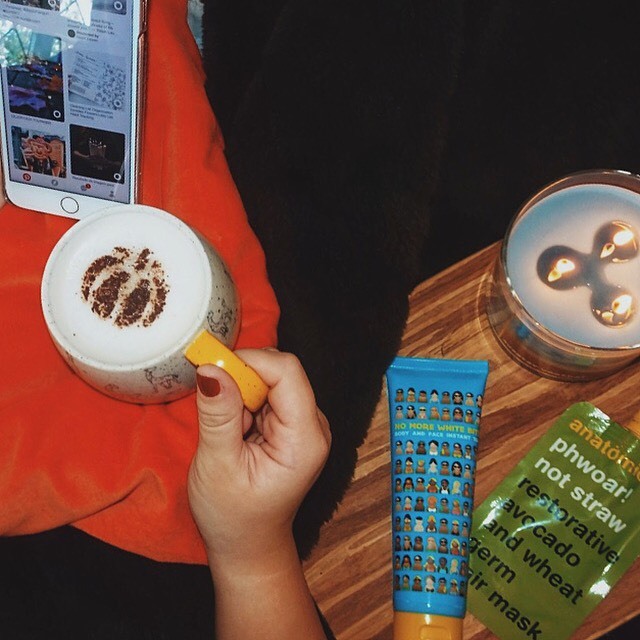 The scents are so fun and being a makeup artist it is so important for me to have clean hands and I like that the scent really lasts a while. 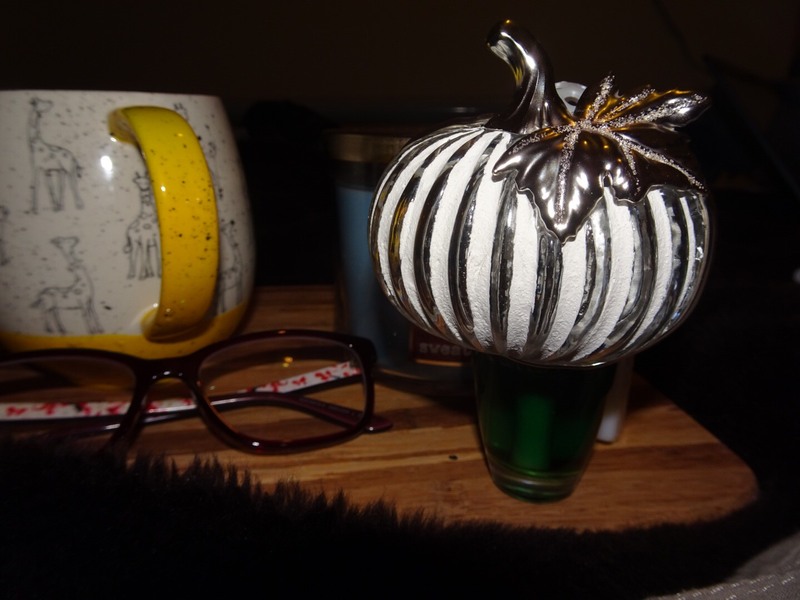 The scents I picked up where Cinnamon Pumpkin, Crisp Morning Air, Pumpkin Cupcake, Cucumber Melon, Stress Relief - Eucalyptus Tea and I also grabbed two black anti-bac holders that hook onto my bag so really easy to use on the go. I'm sure there will be many more hauls to follow. Thanks for reading and hope you love it! I am currently sat in our hotel lobby which is based on Universal Studios Resort watching Harry Potter and the Philosophers Stone, which sounds pretty perfect right?! On a normal basis it probably would be pretty perfect for Jamie and I as we are huge Harry Potter geeks and have been spending a lot of time in Florida visiting the Wizarding World, using our interactive wands, eating cauldron cakes and drinking butter beer! So we touched down in Orlando on Monday 4th September and are staying here for 14 nights which is absolutely amazing and had plans on visiting all of Disney World, Universal Studios, Waterparks, Malls and more! From Tuesday we had word of a hurricane coming straight towards Florida after hitting the likes of the carribean islands. Initially it was a panic for me and we had to make sure we had supplies so we had two successful trips to Walmart to ensure we had enough food and drink if we where told we had to stay in our hotel room. Every morning we checked the news before starting our day in the parks, information was changing as no one really knew which path Irma was going to take. Originally Irma was to hit the south and travel up the west coast so it was a little relief for us as we thought it wasn't going to effect us too much. We had a lot of reassurance from everyone listening to the news back home, however the news here changed daily so for us we didn't really know what to expect. Friday arrived and we enjoyed a perfect day in Disney's Magic Kingdom, it was very quiet considering it is usually one of the busiest parks but I think everyone was getting well prepared for the incoming storm. Saturday was our last day being able to explore the parks so we decided to stay close to the hotel and stay in Universal Studios as we where warned that from Saturday at 7pm the parks where to be closed until Tuesday! We got an early night and arrived back around 6pm and where told we where to pretty much stay put from then for two days to be as safe as we could be. I think that was when it started to get a little bit real for us, we continued to listen to the news and see what was happening and where it was. By Sunday the winds had really picked up and we had to sit through a very miserable, rainy day outside but we where definitely safe but also definitely bored! Last night from around 8pm the weather really kicked in. We watched the news channel and had been warned that the eye of the hurricane had changed path and was heading right through Orlando. By 9pm we decided to up our things from the bed and the room and keep safe in our bathroom, we managed to make a little bed for us however it was VERY uncomfortable. We both woke around 2am when the wind speeds had reached around 100mph so we decided to stay put but we checked on the news and when the eye had almost passed we had made a great decision of moving back in our comfy bed. We woke again at 7.30am and realised everything had calmed down a lot but there was a lot of trees down in our area and things had been blown all over with the speed of the wind. Luckily it has now stopped raining and winds speeds are slowing and I am so grateful that we are safe and our hotel has also been amazing. It was a very frightening experience and I'm so glad that we are out of the worst now but I pray for everyone that lives in Florida and has had to be evacuated over the last week and I hope there is little damage. Thanks to everyone who has asked about us we are very safe and well looked after however last night for me was a lot to handle so thank you again for all the kind words. I thought I would write this just to let everyone know how it was for us and that we are completely fine. In regards to people asking if we are going to claim about our holiday or what are we going to do? We are going to do nothing now but enjoy the rest of our holiday from tomorrow when we are allowed back out to enjoy everything and do all the things we love! We love Orlando so much and this would definitely not change a thing for us. We will not complain about anything as it's nobody's fault, it was a natural disaster and they happen an awful lot in Florida. I feel for the people who where affected here in Florida and the other countries that Irma hit and I pray for them that they are safe. Hey! 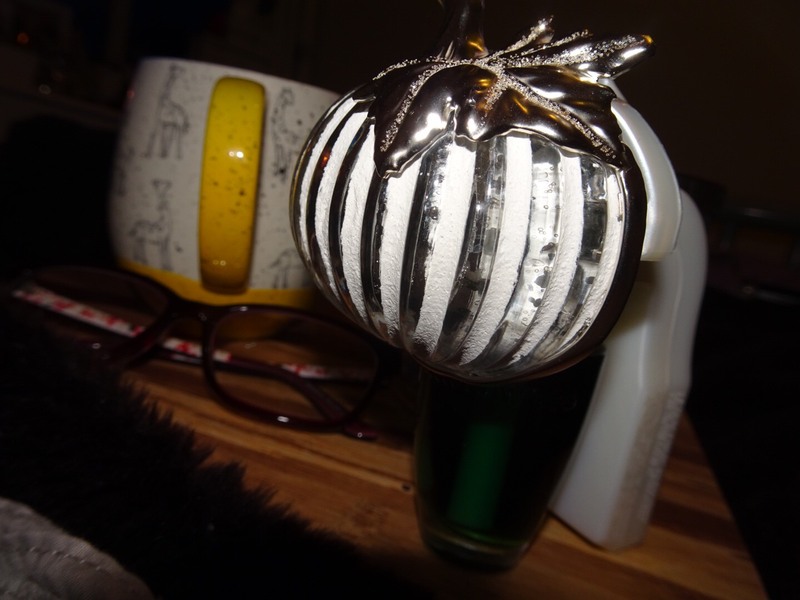 I'm Emeli and welcome to my little bloggin' world! THE PERFECT PUMPKIN PICKING DAY! © The Emeli Edit. All rights reserved.